Arrive in Winnipeg, a former fur-trading post and boomtown for the Canadian Pacific Railway, which today is Manitoba's provincial capital on the eastern edge of the prairie. A transfer is included to the historic Fort Garry Hotel, a prestigious Winnipeg landmark that dates to the opening of the Canadian West. Meet your Expedition Leader and fellow travelers at an orientation dinner this evening. Fly to the small town of Churchill this morning. This hospitable frontier outpost, originally a Hudson's Bay Company fur-trading post, is our base for adventure. 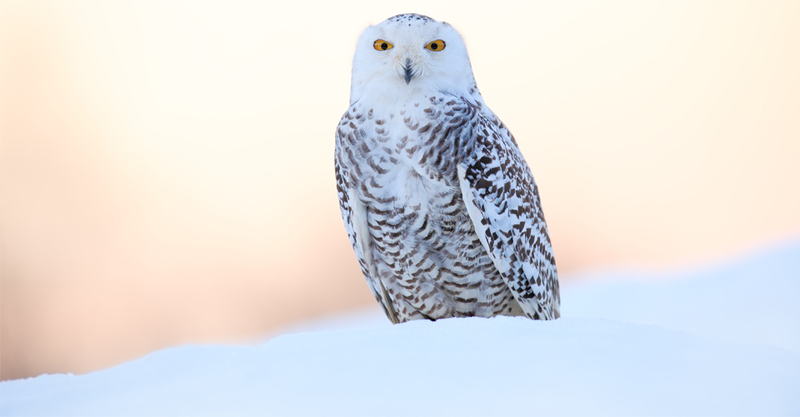 Kick it off this evening with a presentation on Arctic photography and our northern environs by our Expedition Leader, who is both an accomplished photographer and seasoned naturalist guide. 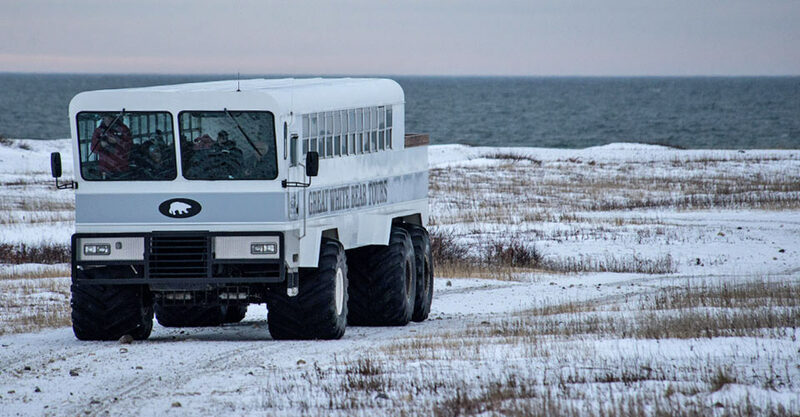 Rise early to board our custom Polar Rovers, specialty vehicles that allow us to get within prime photography range of polar bears on the open tundra. Although each vehicle can accommodate up to 35 passengers, we take a maximum of 16, ensuring that everyone has a window seat, plenty of space for camera gear, and room to shoot comfortably without interference. 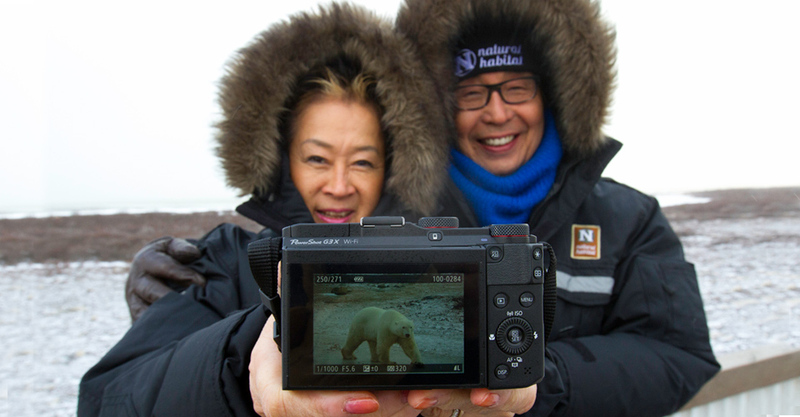 For three full days, we spend our daylight hours on the tundra, photographing polar bears roaming the edge of Hudson Bay waiting for the ice to freeze and their winter seal-hunting season to begin. From the warm interior of our Rover, we may see mothers with cubs and young adult males play-fighting. A large adult male may turn his attention toward us, sometimes approaching within feet or even lifting his massive paws onto the side of our vehicle to peer inside. The outdoor observation platform offers an open vantage point for exceptional photos. 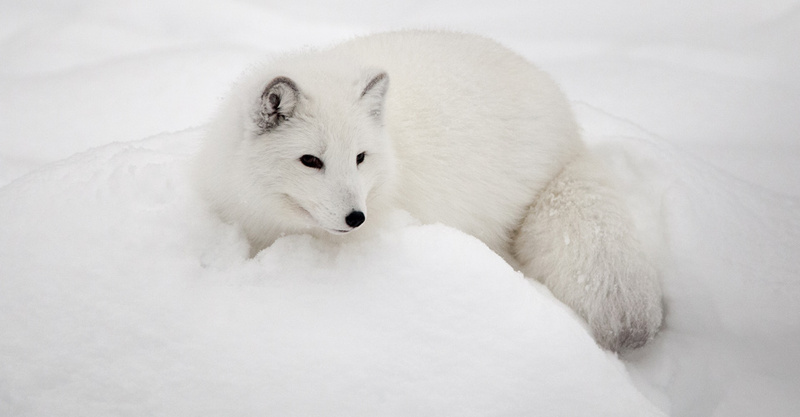 On the wide-open expanse of the tundra, we may spy other northern wildlife, too, including Arctic fox, Arctic hare, snowy owl, ptarmigan and gyrfalcon. In addition to sharing photography advice, our Expedition Leader provides a captivating interpretation of the animal behavior and natural phenomena we observe. By late afternoon, if the weather is relatively clear, we often enjoy vivid sunsets that linger a long time at this latitude, offering stunning photo opportunities. As dusk descends over the austere northern landscape, we return to town for dinner and presentations on photography, wildlife and local cultures. Occasionally, we're graced with the good fortune to see the aurora borealis on a cloudless night, and if this is the case, we’ll head away from the lights of town to capture photos of this wondrous event in total darkness. Our return flight is scheduled to depart in the mid- to late afternoon, in order to provide as much time as possible to explore more of Churchill today. A highlight this morning is an authentic dog sled excursion. Just outside town, we meet a local musher and his team, spending time with the frisky dogs before being pulled behind them on an exhilarating ride through the boreal forest. And, if time permits, those who wish may opt to visit nearby Cape Merry, a promising spot for photographing Arctic fox, hare and birdlife. Or, stay in town for some last-minute shopping to pick up local handicrafts and souvenirs. 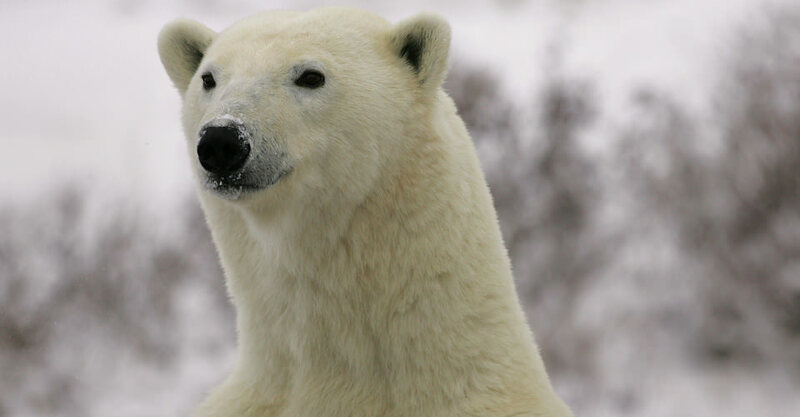 Another option is a helicopter flight over the tundra, for dramatic aerial views of our environs and the possibility of spotting polar bears from the air. Enjoy a farewell lunch in Churchill before we depart, followed by an evening reception in Winnipeg. 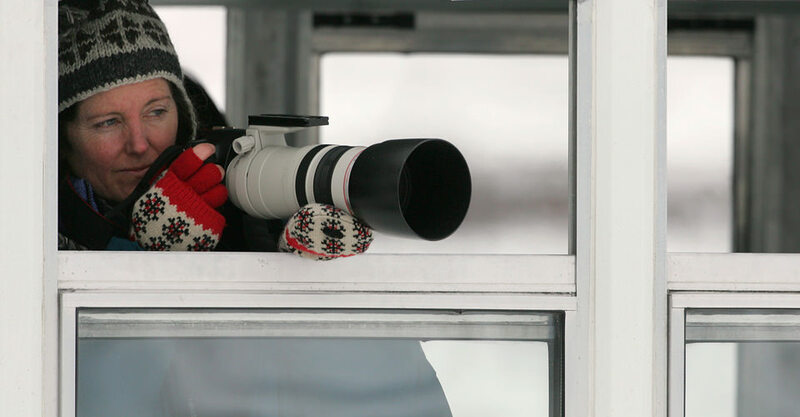 An important note on polar bear viewing: Since 1989, we have run approximately 1,500 departures to Churchill to view polar bears, and we’ve missed seeing them on just a handful of occasions. Some of our sightings are up close, and others are from afar, or even from a helicopter. 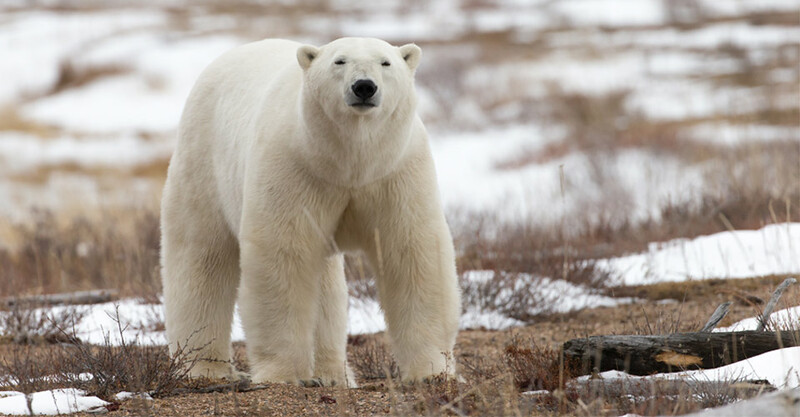 It’s important to remember that while there is no better opportunity to see polar bears in the wild than our Churchill trips offer, the experience is weather-dependent. 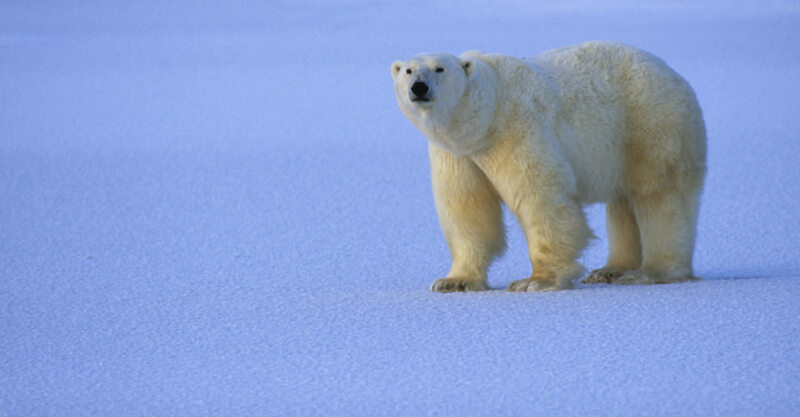 That means viewing polar bears—and the distance at which we may see them—is unpredictable and not guaranteed. 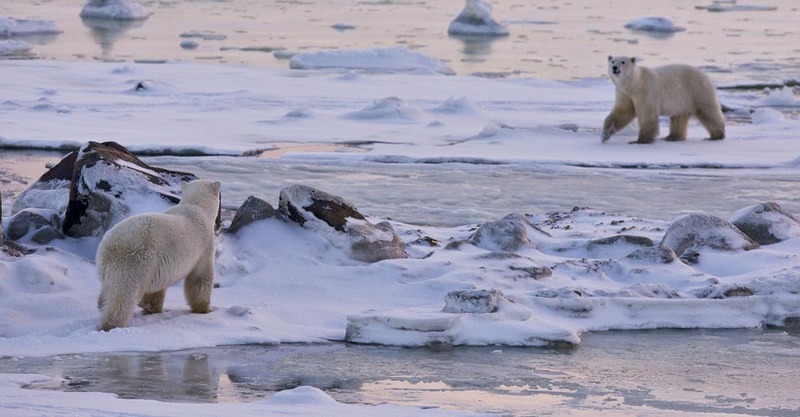 Check out details on the ebbs and flows of the Churchill polar bear viewing season. An introductory sled dog excursion may be available on your polar bear trip. Experience the thrill of gliding through the boreal wilderness behind a team of working huskies! 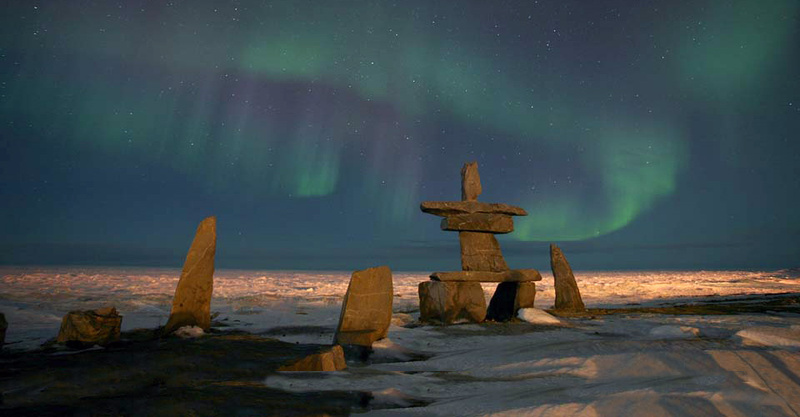 Churchill is the "Gateway to the Arctic" and, as such, the region maintains many northern traditions, including the use of dog sleds for transportation and recreation. 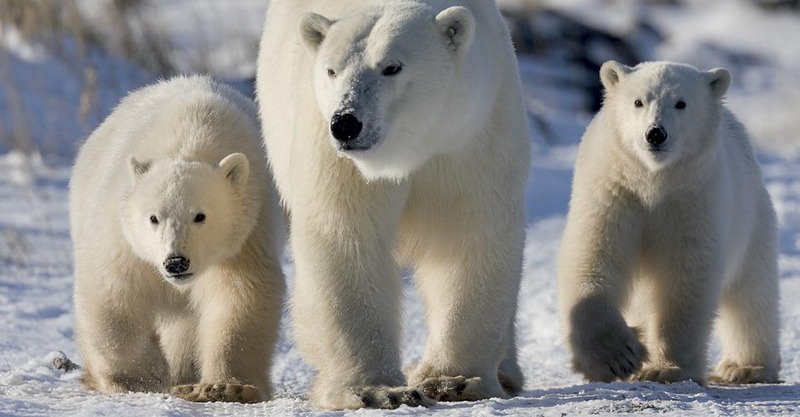 An optional dog sledding excursion may be available during your polar bear adventure (weather dependent). Further information will be provided with your pre-departure briefing.